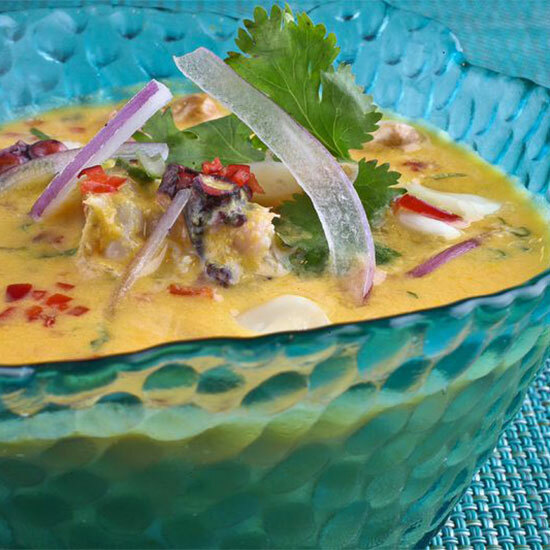 What: Ceviche, seafood marinated in citrus, is one of Peru’s most iconic dishes, but the leftover marinade, known as leche de tigre, is actually prized as a hangover cure. It might not be an egg sandwich, but it’s got salt, protein and electrolytes, so we see where they’re going with it. At Tanta in Chicago, chef Jesus Delgado serves several kinds of ceviche, but he also serves the leche de tigre in shot form, if you're looking for something a bit more invigorating during brunch. Wash it down with: Go for a cocktail made with pisco, the grape brandy that's Peru's national spirit—either the fruity Pisco Punch on tap, the pisco-lime-ginger Lima Llama.